Your credit score is just a number, but it can have a big impact on your life. If it’s high enough, banks are going to compete to lend you money at temptingly low interest rates. But if it’s low, you may be stuck paying through the nose for everything from credit card interest to auto loans. A good credit score may mean the difference between being able to buy a house and spending your whole life in a rental. It can even affect your chances of getting insurance or landing a good job. So how do you go about finding out what your score is? Is it really worth the trouble? Your credit score is essentially a summary of how creditworthy you are. In other words, it shows the chances that, if lent money, you would pay it back in full and on time. The actual number is calculated based on information in your credit report – or, to be more exact, your three credit reports. 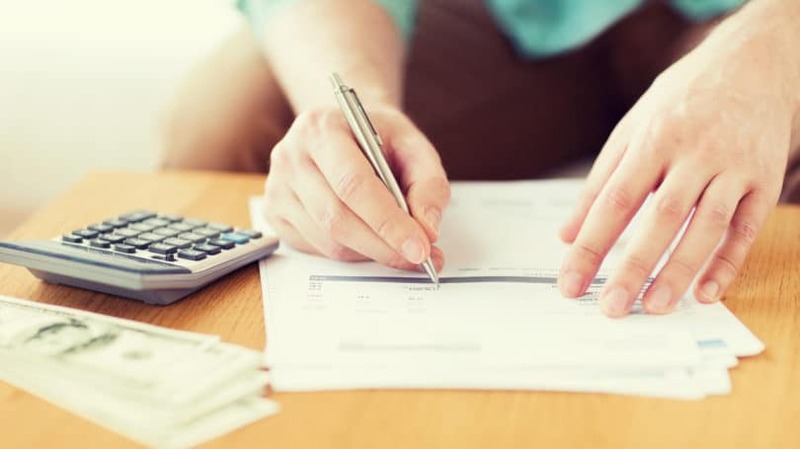 These are maintained by the three major credit bureaus – Equifax, Experian, and Transunion – which receive information from lenders about the people to whom they’ve given loans. That information centers around how much money you’ve borrowed over the years, and how reliably you’ve paid it back. At this point, another company, called the Fair Isaac Corporation (or FICO, for short) steps in. FICO has created a formula that uses the information from your credit reports to produce a number between 300 and 850 – your credit score. If you’ve borrowed money from different sources and always paid it back promptly, you should have a high score, indicating that you’re a good credit risk. However, problems such as bankruptcy, bills sent to a collection agency, or even just a lot of late payments can add up to a low score. When lenders want to decide whether to loan you money, they pull your credit. This means they pay one or more of the credit bureaus for a peek at your credit report, and they may review your FICO score at the same time. The higher your score, the better your chances of being approved for a loan on favorable terms. When people talk about your credit score, they usually mean your FICO score. However, some lenders prefer to use the newer VantageScore, developed by the three credit bureaus working in cooperation. If you request your credit score from all three bureaus, their numbers may not be the same. That’s because they’re based on three different credit reports, and the information in those reports may not match exactly. For example, one bureau could have your credit card bill from last month, when you racked up $2,000 in charges, while another has your bill from this month, when you charged only $500. But in general, both your FICO score and your VantageScore should be pretty similar at all three bureaus. There’s a common misconception that credit scores don’t really matter unless you plan to borrow money. For instance, financial guru Dave Ramsey says that your credit score is really an “I love debt” score, and that if you always pay for everything with cash, there’s no need to worry about your credit rating. However, the fact is that these days it’s not just lenders who want to know your credit score. Plenty of individuals and companies, from insurers to potential employers, pull your credit to get an idea of how trustworthy you are. This means that if your credit is poor, you may not just have a hard time getting a car loan – you may also pay more to insure the car once you’ve bought it. Additionally, you may be turned down for an apartment rental or even a job. Even if you have no plans to borrow money any time soon, it’s useful to know your score and, if it’s low, take steps to bump it up. Checking your credit regularly can also help you catch mistakes that may be damaging your score. A 2013 report by the Federal Trade Commission (FTC) found that about one in four Americans have significant errors in their credit reports. These errors range in significance. For example, your report might show a missed payment that was actually just late. More seriously, it might show accounts in your name that you never opened – a sign that you’ve been a victim of identity theft. Checking your credit lets you find and fix such errors promptly before they cause major harm to your credit score. It may seem that, if your credit score can have such a big impact on your life, you should have a right to know what it is. However, as of now, FICO and the credit bureaus have no legal obligation to tell you. The U.S. Senate introduced a bill called the Stop Errors in Credit Use and Reporting (SECURE) Act of 2014 which would change that, requiring the credit bureaus to give you access to your credit score for free once per year. Nearly a year after being introduced, however, the bill still had not come up for a vote. Of course, while the credit bureaus aren’t required to disclose your credit score, they’re perfectly happy to let you pay them for a look at it. 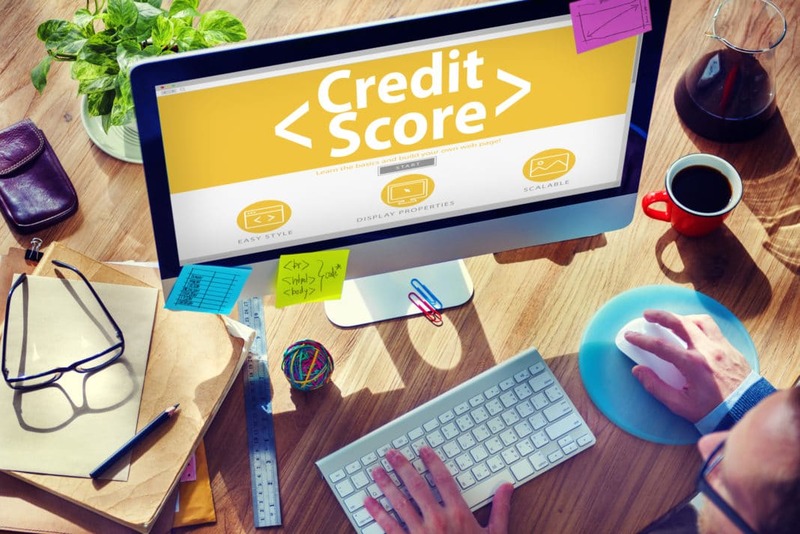 All three credit bureaus, as well as FICO, offer “credit monitoring” services that provide you with regular updates on your credit report and score for a monthly fee. FICO’s service, available at the site myFICO, costs $29.95 per month or $329 per year. Services available from the individual credit bureaus range from $14.95 to $19.95 per month. You can test many of these services for a trial period at a reduced price. These trial offers can give you a quick peek at your credit score for a modest fee. However, you have to make sure to cancel the service before your trial period expires. Miss that deadline by even one minute, and you’re charged automatically for the next month at full price. A paid service might be useful for tracking your credit over time, but if all you want is a quick peek at your credit score, this is a pretty pricey way to get it. However, there are now several sites that give you access to your credit report (or even your credit score) for free. Before signing up for a paid credit-monitoring service, even on a trial basis, it’s worth looking at free alternatives. The majority of these services don’t give you access to your actual FICO score, but they can give you a pretty good idea of what it is, and you don’t have to open up your wallet to find out. Although you have no legal right to see your credit score for free, your credit report is a different story. 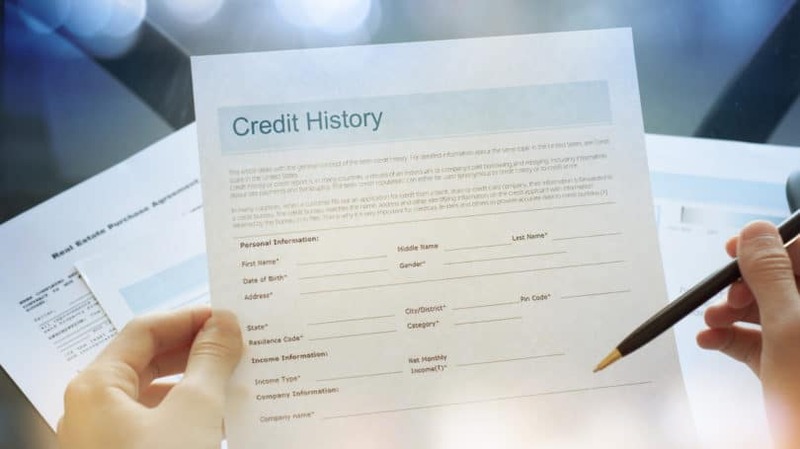 Under the Fair Credit Reporting Act, you can request a copy of your credit report from each of the three credit bureaus once per year, at no charge. To get your free annual credit report, just visit the website AnnualCreditReport.com. This is the only website that gives you access to your official annual credit report. Other sites with similar names, such as FreeCreditReport.com, are actually sponsored by the credit bureaus and other for-profit companies. If you order your “free” credit report from one of these sites, you may find yourself signed up for a credit monitoring service that charges a monthly fee. There are also impostor sites with URLs that are slightly misspelled versions of AnnualCreditReport.com. Some of these steer you to commercial sites, while others may try to steal your personal information. To make sure you get your actual credit report with no strings attached, be sure to type in the URL exactly. At AnnualCreditReport.com, you can obtain copies of your credit reports from all three credit bureaus. However, you don’t need to request all three at once. If you space them out throughout the year, requesting one report every four months, you’ve got a better chance of catching errors promptly. Personal Information. This includes your name, address, date of birth, and Social Security number. This information is not used in calculating your credit score, but it keeps your credit report from getting mixed up with the millions of other reports the credit bureaus have on file. Your Accounts. A report shows all the companies you’ve borrowed money from, how long you’ve had each account, how much money you currently owe, and whether you’ve always paid your bills on time. In general, the more accounts you have, the longer you’ve had them, and the more consistently you’ve paid them off each month, the higher your credit score. Credit Inquiries. Each time you apply for a loan, the lender pulls your credit. Your credit report shows how many times this has happened in the past two years. Having a lot of inquiries may hurt your credit score, because it makes it look like you’re desperate to borrow more money. Overdue Debts. If one of your debts is sent to a collection agency, that shows up in your credit report. It also contains information about your debts that appears in the public records of state and county courts. If the bank forecloses on your house, or the IRS seizes your wages to pay back-taxes, or someone sues you over an unpaid debt, all that information ends up in your credit report. Negative events like these raise major red flags that cause serious damage to your credit score. The biggest problem of all that can show up on your credit report is bankruptcy, which can continue to harm your credit score for as long as 10 years. One piece of information you won’t find in your credit report is your actual credit score. However, since your credit score is based entirely on information in your report, viewing the report can give you a pretty good idea of whether your credit rating is good or bad. It also gives you a chance to spot errors and warning signs of fraud or identity theft. Based on this information, the site gives you a ballpark range of about 50 points within which your credit score most likely falls. This estimate isn’t the same as your exact FICO score, but it can provide a general idea of how easy or difficult it will be for you to get credit. There are several sites on the Internet that let you track your credit for free. They provide a scaled-down version of your credit report, along with an up-to-date credit score based on the VantageScore model. These free sites pay for their services with a form of advertising: specially selected offers for financial products, such as credit cards, that are likely to fit your particular needs. Credit Karma shows you two different credit scores: one from Transunion, and one from Equifax. Both are VantageScores, but they’re based on different credit reports so they may not match exactly. The site also breaks down each score based on the various factors that affect it, such as credit card utilization (the percentage of your available credit you’re using) and length of credit history (how long your accounts have been open). In addition to showing your score, the site provides a basic version of your TransUnion credit report, so you can check it for errors at any time. An extra feature of the site is your Auto Insurance Score. This score, calculated by TransUnion, is a measure of your auto insurance risk on a scale from 150 to 950. The higher your score, the lower the rate you’re likely to pay for auto insurance. Credit Sesame, like Credit Karma, provides your VantageScore and a detailed breakdown of the factors that affect it. However, Credit Sesame bases its information solely on your Experian credit report. This means that by signing up for both Credit Karma and Credit Sesame, you can see information from all three reports. Credit Sesame also offers some additional features for dealing with identity theft. It provides a list of resources you can use if you’ve been a victim of identity theft, as well as a toll-free number you can call for help. It also comes with $50,000 worth of identity theft insurance to cover costs such as legal bills and replacing documents – an amazing benefit for a service that costs nothing. Note that the paid version of the service, which costs $15.95 per month, increases this protection to $1 million. Credit.com provides information that is also based on your Experian credit report. 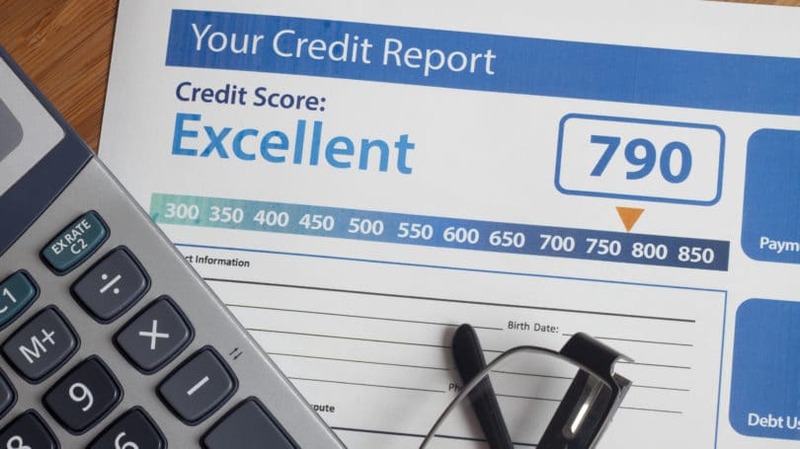 Along with your VantageScore and a detailed “report card” on your credit use, Credit.com provides a customized action plan for improving your credit rating. If there’s anything about your plan you don’t understand, you can seek advice from the site’s team of more than 30 financial experts. They publish articles on financial topics and are also available to answer specific questions from users. The biggest disadvantage of free credit-tracking sites is that they provide your VantageScore, not the FICO score lenders generally rely on. However, an increasing number of credit card issuers now offer free monthly FICO scores to their customers. These include Chase Slate, Discover It, Barclaycard, American Express, Capital One, and some credit cards from Bank of America and Citibank. FICO scores are also available to customers with auto loans through Ally Financial. If you’re lucky enough to have an account with one of the companies that offer a free FICO score, then you don’t have to lift a finger to check it – it just shows up on your statement. If you’re not, however, it probably isn’t worth signing up for an account just to get this perk. The VantageScores offered on free sites like Credit Karma and Credit Sesame are not identical to your FICO score, but they’re a good enough indicator to let you know what to expect when you apply for a loan. With more and more financial institutions hopping on the free-FICO bandwagon, there’s a good chance that everyone who has a FICO score may one day have the opportunity to check it on a regular basis. Until then, take advantage of free services and stay on top of your credit. Checking your report and score regularly can help you avoid unpleasant surprises when you want to borrow money – and it can also help you give your credit rating a boost if it needs one. Have you checked your credit lately?